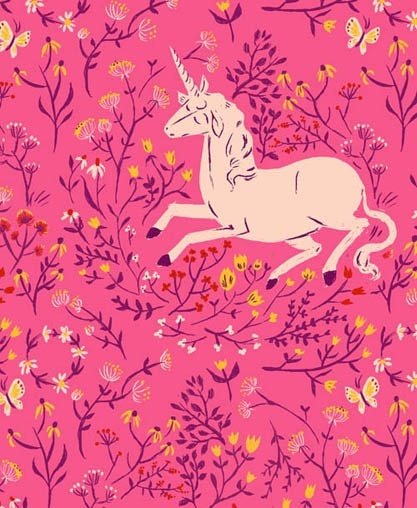 http://www.pinkcastlefabrics.com/collections/collection-far-far-awayOnce upon a time, in the year of 2009, Heather Ross created a delightful, and delightfully geeky, fantasyland of sleepless princesses, frog princes, and friendly unicorns. It was called Far Far Away, and it was magical. Available in a trio of colorways recalling Spring, Summer, and Fall, Far Far Away charmed all who laid eyes upon it. 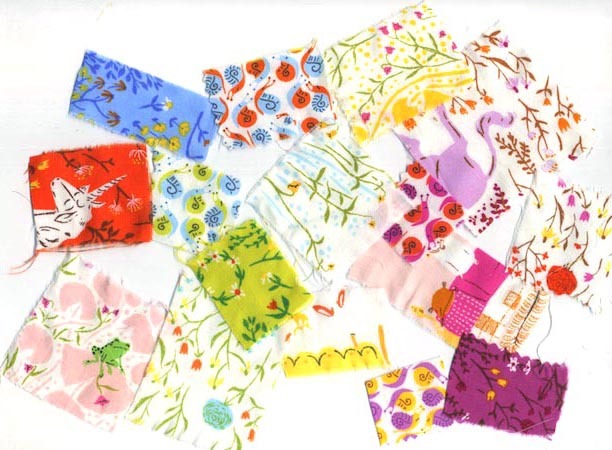 If you needed a touch (or a bucketful) of whimsy for your project, whether it was quilt or bag or beautiful gown, this was the collection for you. Needless to say, Far Far Away was sought after by all, but like its princesses and unicorns, it has been more myth than real these past many years. That is until now! This July, Far Far Away will be available again thanks to Heather Ross and Windham Fabrics, and right now you can pre-order it from Pink Castle Fabrics! These are the perfect fabrics for the princess in your life, even if that princess is you, so don't miss out! Have the happily ever after you deserve! Far Far Away is expected in early July, but shipments sometimes arrive early or late. As always, we ask that your presale orders be placed as their own order, separate from other orders you might make.